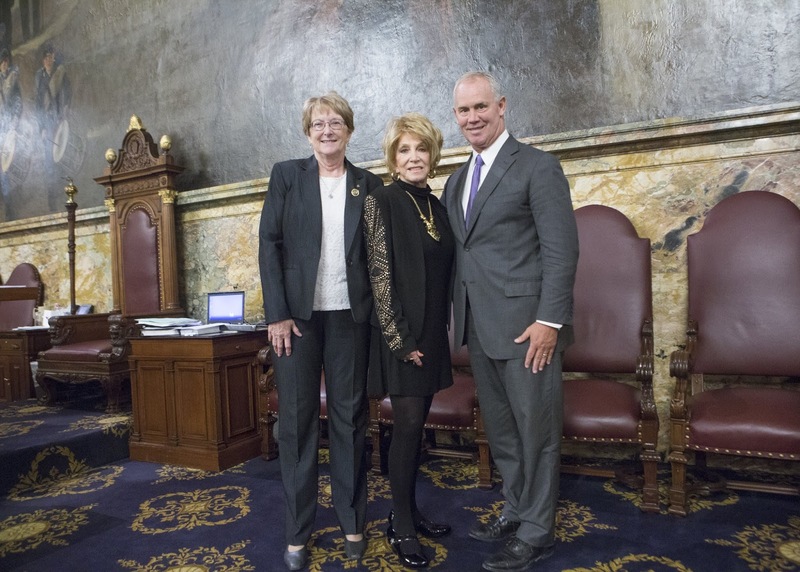 The Pennsylvania House of Representatives unanimously approved House Resolution 259 honoring Jeannie Seely on her 50th anniversary of becoming a member of the Grand Ole Opry. The resolution was sponsored by Rep. Kathy Rapp (R-Warren/Crawford/Forest). Seely was joined by Rep. Kathy Rapp and Mike Turzai Speaker of the House Commonwealth of Pennsylvania. "Never have I been more proud of my heritage than I was today. It is my hope that I will always represent Pennsylvania in a manner that would make them proud of their native daughter, and I thank them for this distinguished honor." Seely said. She is “Miss Country Soul,” a beloved member of the Grand Ole Opry, a country icon and a Pennsylvania hit-maker well before Taylor Swift was born… Seely’s latest album WRITTEN IN SONG features 14 updated timeless classics she has written and co-written. Jeannie Seely proves that her songs and her voice are as great as they ever were on this fantastic new album. The country music singer has written songs for numerous artists and it’s refreshing to hear her voice along with her very own take and production on these songs. These are, after all, her songs to sing and she certainly has the vocal prowess to do so! Jeannie Seely soars on her new album, Written in Song. "Miss Country Soul" is back stronger than ever. There is a variety on her latest musical effort. It garners an A rating. Be sure to LIKE Jeannie Seely on Facebook or visit jeannieseely.com.